Exercising with Android Wear just got better now that the Google Fit app has been equipped with calorie counting and distance measurement. 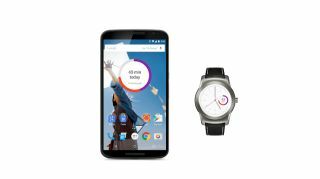 A new Google Fit widget for mobile devices will be released to let you see stats immediately while a new Android Wear watch face will allow glanceable tracking right from your LG Watch Urbane, Moto 360 or whichever Android wearable you have. The recent update also refreshed the interface, making your fitness history easier to scroll through. You'll be able to look at your activities grouped by days, weeks or months on your phone or tablet. There's no word on when the face will pop up but the updated app should start rolling out today, and can be downloaded from the Google Play Store. The Microsoft Band is pretty good at tracking fitness.